Contest with Beszamel.pl - OLE! Easter Capers – Cook with OLE! Another contest collaboration with beszamel.pl is now behind us. Like always, it was very interesting and emotional. This time, the entrants had to prepare an Easter meal with a selected OLE! product and send its tasty photo for evaluation by the jury. The holiday edition of the contest was very popular among people with a passion for cooking. Choosing the winners was quite a challenge and the prizes included stylish OLE! 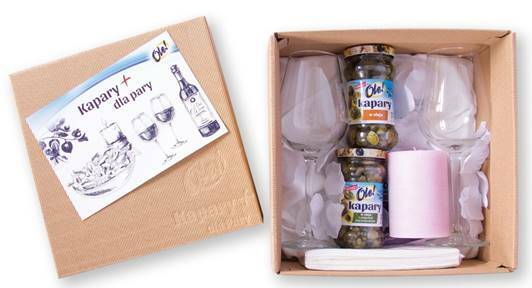 “Capers for Couples” packas.